For a while, gluten-free living seemed like a cruel punishment, especially for kids. Thank goodness, there are now many tasty gluten-free products and substitutes: even bagels! There are entire cookbooks devoted to gluten-free dining from main dishes to desserts, so no matter what your family's eating habits are, you can find delicious dishes that will fill and soothe those hungry bellies. Read on for gluten-free lunches that are as healthy and tasty as what your child's friends may have in their lunch boxes, and these foods may even expand their palate along the way! 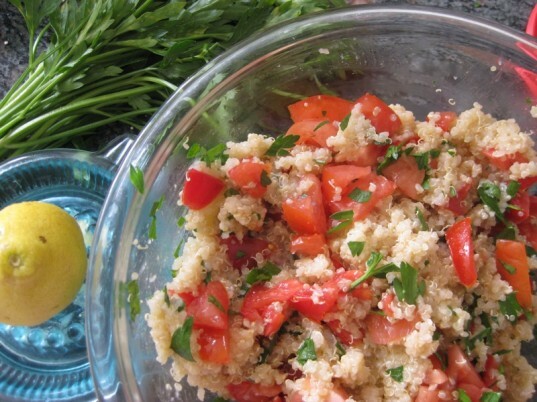 Update a tasty tabbouleh recipe, which usually uses bulgur wheat, by using quinoa instead, and then pile on the tomatoes, cucumbers, and chickpeas. The fresh veggies and protein (you could also add feta along with the chickpeas) plus herbs like parsley and mint give this gluten-free salad a powerful punch of flavors. This dish is also a great dinner side dish along with hummus, grape leaves, and other Middle Eastern fare. Jap chae, is a yummy Korean stir-fry dish, and this recipe always gets rave reviews. Make sure you use tamari, which is wheat-free, unlike most soy sauces. Jap chae is traditionally made with sweet potato noodles, and they are super delicious-if you can find them (check an Asian grocery store). 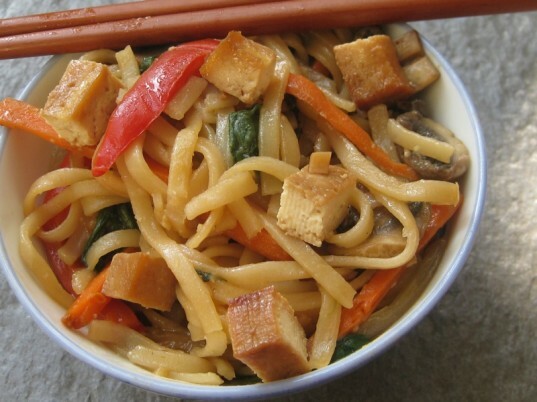 Some recipes recommend mung bean noodles or thin rice noodles. In a snap, substitute thicker rice noodles (I like the way they soak up the sauce). Add thinly sliced carrots, red bell peppers, mushrooms and spinach. We used tofu, but traditional recipes also suggest beef. It is a really addictive dish and great at room temperature. Try a tasty and hearty fall dish that makes the most of seasonal ingredients. Dice and roast pumpkin or squash with a little olive oil until tender but still firm enough to hold their shape. 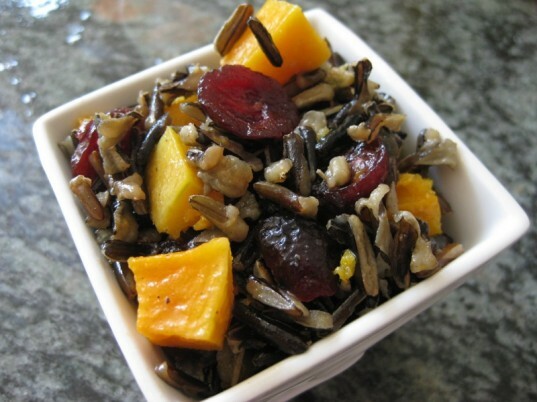 Let cool and toss with dried cranberries and several cups of cooled wild rice. Mix together a basic vinaigrette with olive oil and balsamic vinegar. I incorporated a bit of pomegranate molasses, which added a fruity element, but you could also try a splash of orange juice. Wild rice, which has a similar feel to more traditional rice, is actually a type of grass and is high in protein, making it a good compliment for the pumpkin and squash, which are full of vitamin A. The cranberries add a dose of antioxidants. Finding lunch foods that taste good at room temperature are key. No one wants to eat cold, congealed food, even if Mom or Dad did put lots of love into it. Quiche is a great lunch option because you can fill it with veggies, protein, cheese and tastes great whether heated up or at room temp. 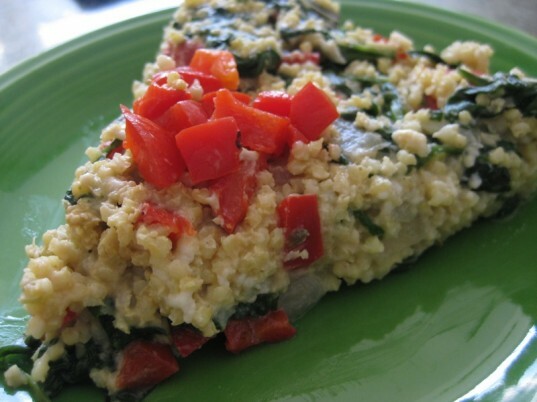 For a great vegan filling, try this recipe. I followed this crust recipe, which uses a combination of buckwheat and brown rice flour, giving it a nutty taste and some extra calcium. Don’t be fooled by buckwheat’s name – it’s actually a fruit seed that is high in magnesium and fiber. There’s a reason why rice and beans is a staple meal in so many countries-it’s delicious, filling, and endlessly adaptable. We eat quite a bit of the more traditional black beans and rice at our house, but making mujadara, a Middle Eastern cousin that has been popular for hundreds of years, is also an option for a yummy, balanced meal. 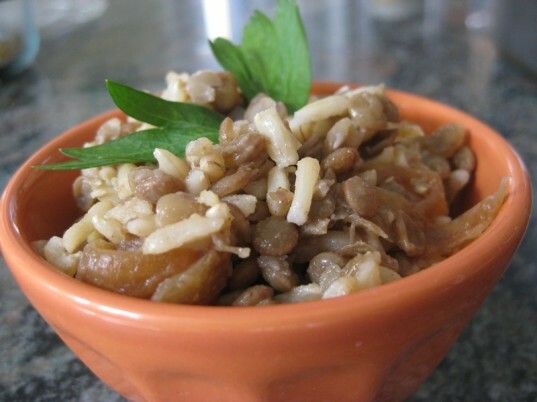 The dish combines lentils with rice and lots of meltingly sweet, caramelized onions. I added more spices, but you can easily adjust it for your own family. Mujadara is a great leftovers lunch, so make a big pot and pack it up for the next day. If your kids will go for it, roasted or grilled zucchinis or eggplant go great with this. For non-vegans, many chefs recommend serving this dish with a thick, spiced yogurt. Make it with millet! Millet is generally thought of as a bird food component here in the United States, but it’s actually a staple food in many areas if the world, including Africa. 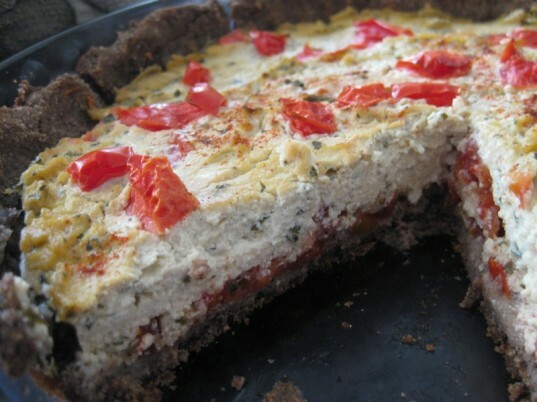 It’s high in B vitamins as well as fiber, and it can be added to soups, pilafs, or even made into a pie, like the one shown above. Millet is believed to have enzymes that help to aid digestion, which means it’s a good whole grain option for sensitive stomachs whether your child needs to go gluten-free or not. Finding lunch foods that taste good at room temperature are key. No one wants to eat cold, congealed food, even if Mom or Dad did put lots of love into it. Quiche is a great lunch option because you can fill it with veggies, protein, cheese and tastes great whether heated up or at room temp. For a great vegan filling, try this recipe. I followed this crust recipe, which uses a combination of buckwheat and brown rice flour, giving it a nutty taste and some extra calcium. Don't be fooled by buckwheat's name - it's actually a fruit seed that is high in magnesium and fiber. Make it with millet! 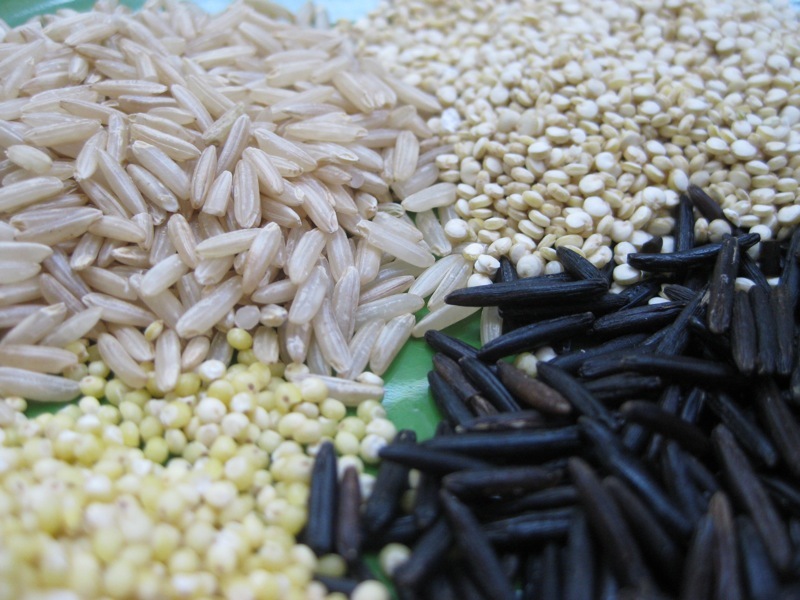 Millet is generally thought of as a bird food component here in the United States, but it's actually a staple food in many areas if the world, including Africa. It's high in B vitamins as well as fiber, and it can be added to soups, pilafs, or even made into a pie, like the one shown above. Millet is believed to have enzymes that help to aid digestion, which means it's a good whole grain option for sensitive stomachs whether your child needs to go gluten-free or not.